Paint NET is used to create and edit images, design interface and add special effects. 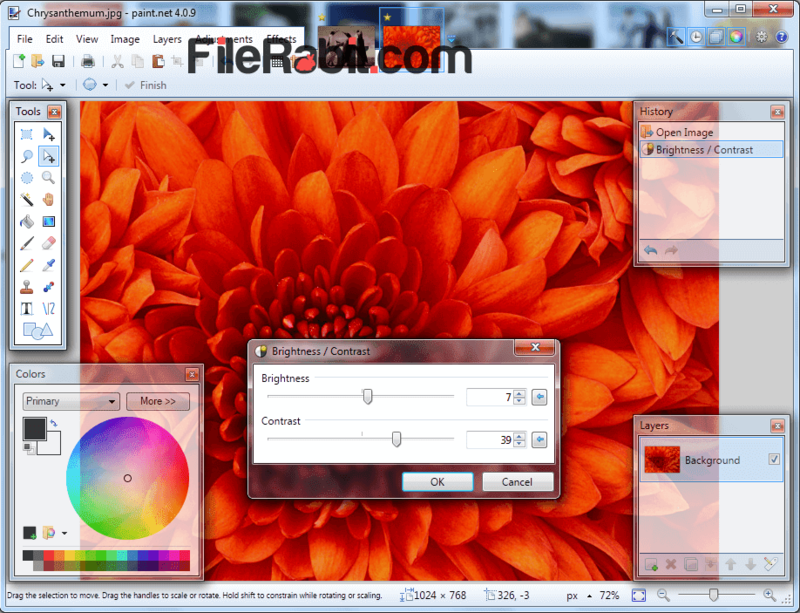 It’s offering advanced tools to handle JPEG, PNG, BMP and GIF files Windows Paint is the basic painting an editing software that is less featured, loaded and just a basic tool. 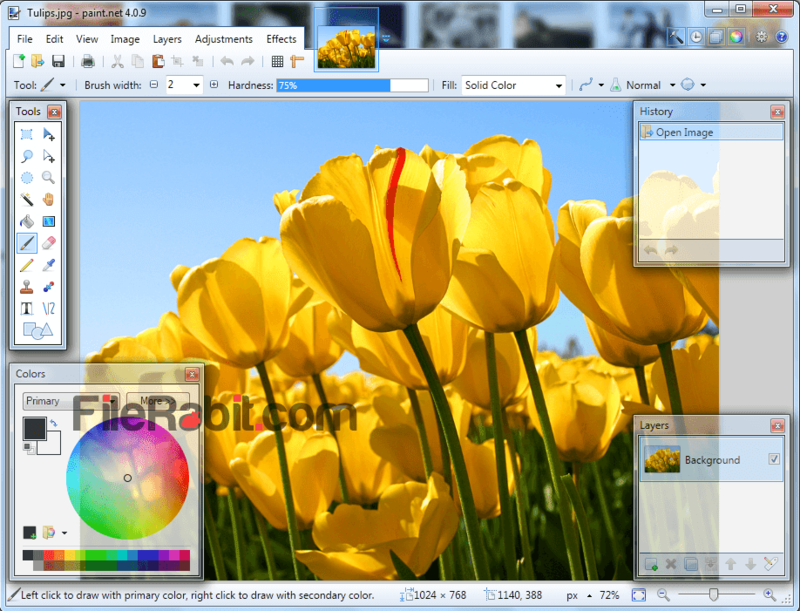 Paint.NET is one of favorite and standard software which allows filters, layers, brushes, unlimited undo levels, advanced coloring and many other professional features. It supports multiple working windows inside one windows. So you can create album or design custom wallpapers for any purpose. dotPDN is the developer and owner of this tiny software so as a freeware utility, they accept donations for development purposes. 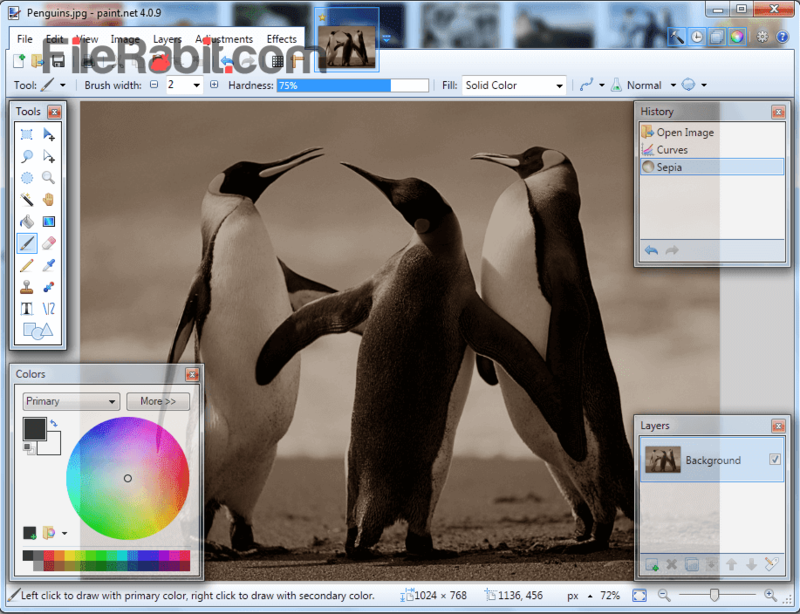 However, Paint.NET give simple and professional tools to control brightness and contrast of any image. It supports all popular image formats including JPEG, PNG, BMP, GIF and more. There are 4 small navigation windows by default that contains Tools, History, Colors and Layers panel. Red Eye removal is advanced term used by professional photo editors, so we can locate it in awesome tools collection. Moreover, using emboss, distort, noise, text, sepia and many pro tools. Rotate image to any target level from 90 to 180 degrees in both left and right sides. Zoom level support to maximum screen resolution. Use keyboard shortcut keys to work faster and save time with moving mouse to different manipulating tools.